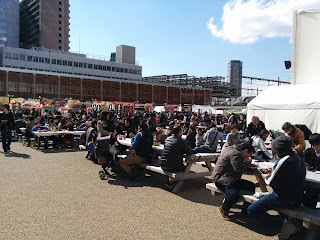 Day 2 at the Tenkatoitsu Ramen Battle. Let's get into it then. 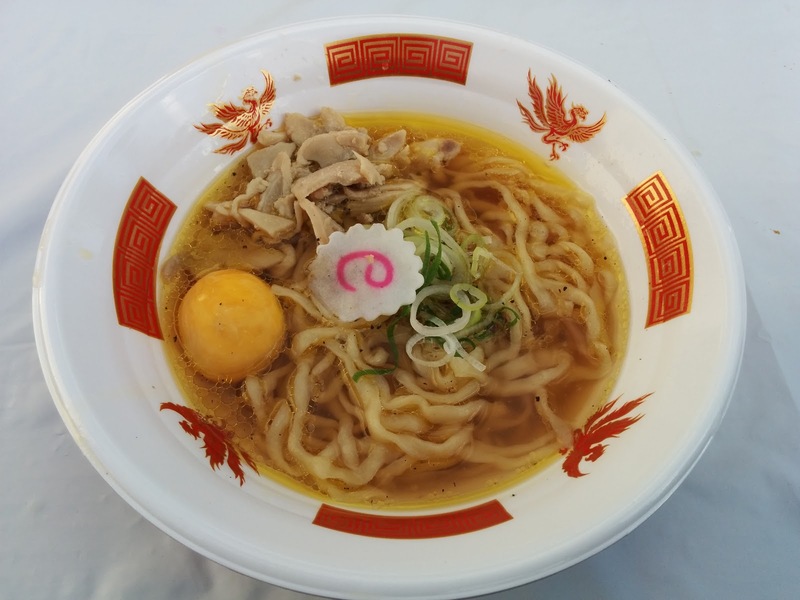 First up was golden chicken chuka soba from Yamagata Shinshunya. A light, shoyu broth with the simple taste of chicken oil glazing the top, topped off with a dash of pepper. The noodles were fat and curly, and they worked well despite the simplicity of the broth. Chewy bits of motsu closed off the bowl. Bowl number two was Keika Ramen from Kumamoto. Even though I haven't been to Kumamoto, I'm familiar with the style. 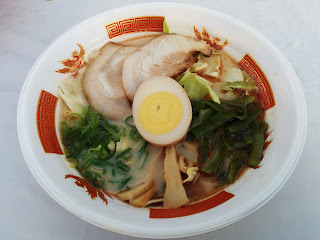 Garlicky tonkotsu with a hard-boiled egg plopped right in the middle. Cabbage, seaweed, and most scrumptiously thick slices of chashu with charred edges.